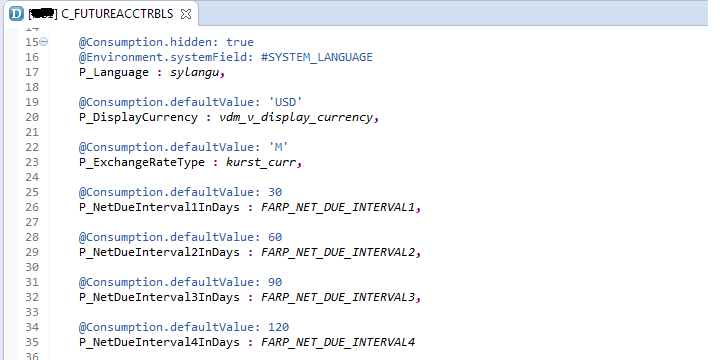 For Use cases involving Standard ABAP CDS Views, which may require custom ODATA implementation for SAPUI5 consumption. In usual scenarios Std. 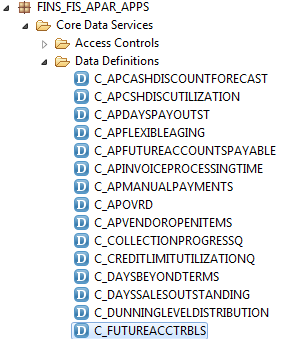 ABAP CDS Views are consumed as KPI/Smart Business App. 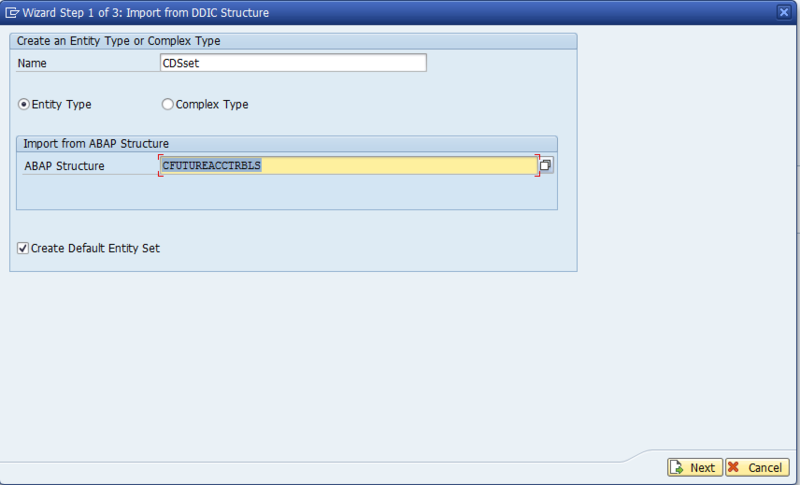 But you may come across situations wherein CDS View is consumed as Design Studio App through Fiori (Query Browser), and there will be challenges to extend or build custom UI5/ODATA for the same. This blog intends to address this challenge. Note: this blog is meant for systems with SAP Netweaver 7.4 or less (For NW 7.5 its best to auto-generate the ODATA using HANA Studio and use Annotations). Performance of ODATA service would depend on data load. 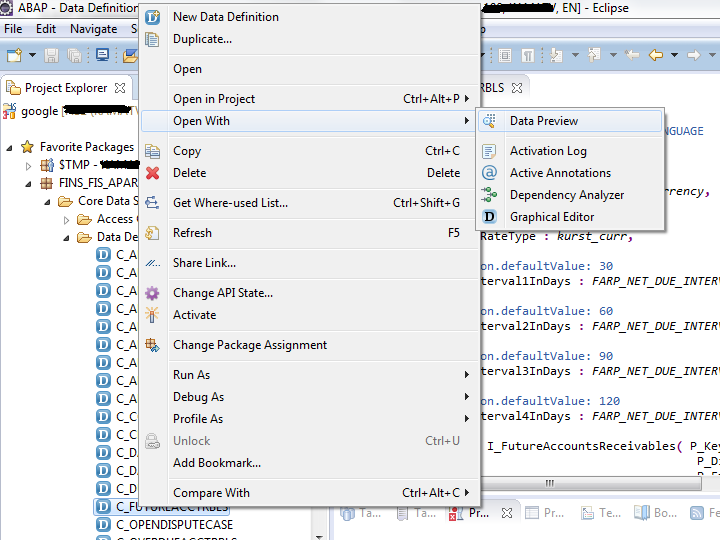 You have installed ABAP Development Tools in Eclipse IDE/HANA Studio. You have access to ABAP Netweaver 7.4 on HANA. You have created ABAP Project in eclipse to connect to ABAP Netweaver 7.4 system. 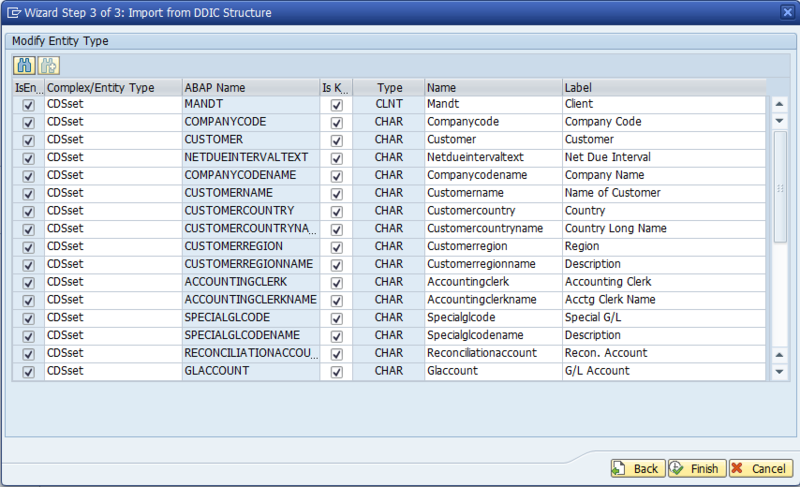 You have required HANA authorizations in place to access Standard ABAP CDS View. In this example we are working on C_FUTUREACCTRBLS which is a parameter based CDS view. Double click on the CDS, and look for parameters. 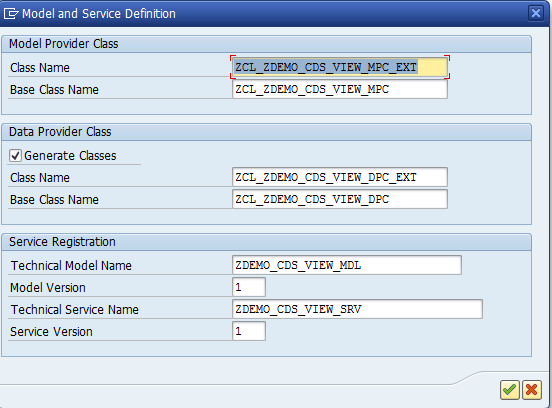 You can use these parameters for implementing & testing ODATA service. Click OK, to check data available in this view for the specified parameters. 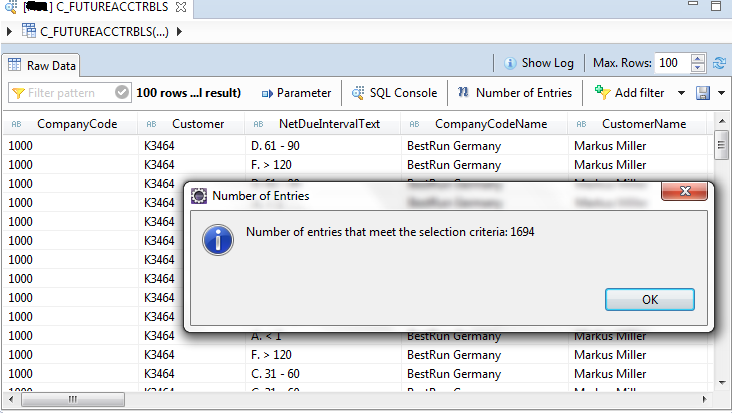 Click on “Number of Entries” Button, we you get data count. then select key fields (for this example we select all). 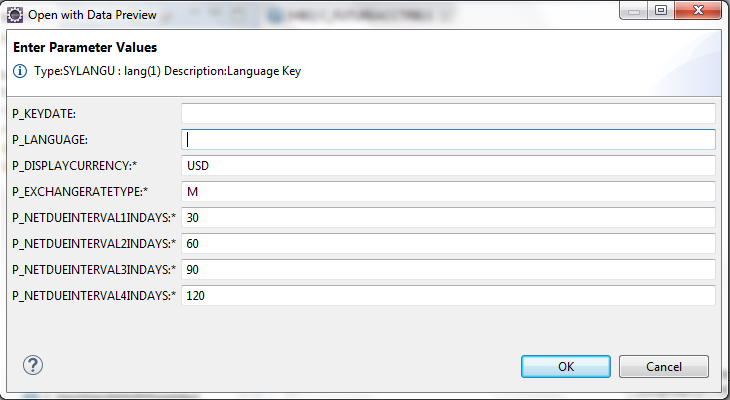 DATA LV_CURRENCY TYPE VDM_V_DISPLAY_CURRENCY VALUE 'USD'. *           UP TO 100 ROWS. 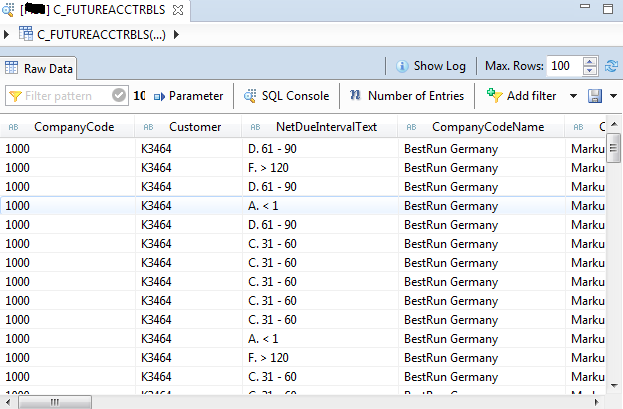 test your odata service, with the entity set created. This can be further extended, by passing the parameters as odata filter variable, as per your requirements (iv_filter). 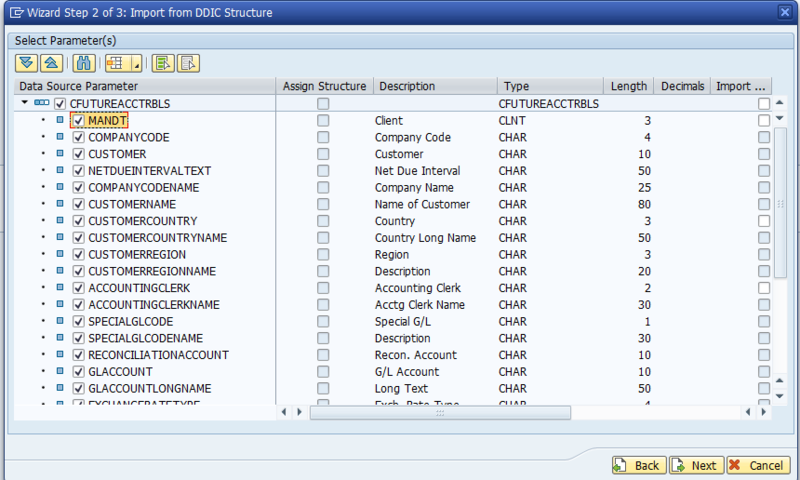 UI5 Application to consume this ODATA service can be made using simple Table/List controls.